Bahrain-based Gulf Aluminium Rolling Mill (Garmco), a leading aluminium rolling mill, has announced that it has filed a voluntary petition for relief under the kingdom’s new reorganisation protection law. Despite strong underlying market fundamentals, a number of factors during the past several years have adversely impacted Garmco’s performance and led it to pursue a wide range of initiatives to improve its operating profitability including the construction of a new state-of-the art re-melt facility to enhance its metal sourcing capability, a statement from the company said. During this period, Garmco continued to face constraints under its financing agreements that needed to be fully addressed, it said. “In 2018, Garmco pursued an accelerated effort to manage its financial liquidity and develop a comprehensive strategic, operating and financial re-organisation plan aimed at ensuring a globally competitive business with a sustainable capital structure. Despite significant progress in developing core aspects of the re-organisation plan, Garmco required additional time to build consensus among its stakeholders, including its banking partners,” it said. Subsequently, in order to meet its legal obligations and obtain the necessary protection to continue its efforts, the shareholders of the company on January 6 at an Extraordinary General Meeting, decided to file a voluntary petition for relief under Section 3 of Law No 22 of 2018, the company said. The law enables companies with strong underlying fundamentals, but unsustainable financing structures, such as Garmco, to obtain protection to continue operating while undergoing a full re-organisation. “Our priority will remain with our stakeholders and all aspects of the ongoing operations provided by Garmco and its dedicated staff will continue as usual,” explained Garmco chairman Basim AlSaie. 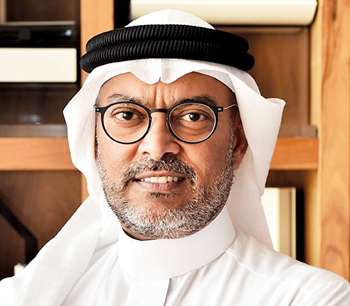 “The protections under the law will enable Garmco to ensure the needs of our customers and suppliers are fully served, while the company pursues and finalises its re-organisation efforts, enabling Garmco to re-emerge as a globally competitive business under a sustainable capital structure for the long term,” he said.